LOYALTY PROGRAM FOR ALL OUR REGULAR CUSTOMERS! Of course, it is also possible, as a VIP customer of Instagram, to benefit from this promotion. For this, we calculate only half a point for likes or views instead of a point, so that twice the number of likes and views can be recovered with the purchased points. How can I become a member of the loyalty program? How much does it cost to join the loyalty program? The costs are very manageable and are up to $15.99 in the monthly variant. For the quarterly membership, it is now just $12.99 /mth. -Then only $9.99 /mth for the annual variant. Do I have to conclude a subscription contract? No, not at all! After the expiration of the initial period, there is no obligation to extend the loyalty membership. However, if you would still like to continue membership in the loyalty program after the expiration, you can reorder it in our Online Shop. If you do not wish to, your subscription will automatically expire. To conclude, our offer is not a subscription and there are no reccurring payments at all! How often can I order as a loyal member? For instance, if you book 2,000 Instagram likes or views for $8.99, we double the number to 4,000 for all our loyal members. Just one example with a 2,000 Likes/Views package. Of course, the duplication is also valid for all larger packages, regardless of the number of likes or views ordered. So, for 5.000 likes or views paid, we deliver 10.000 at the same price / for 12.500 likes or views paid, we deliver 25.000, etc..
Can the loyalty bonus only be used for a specific profile? 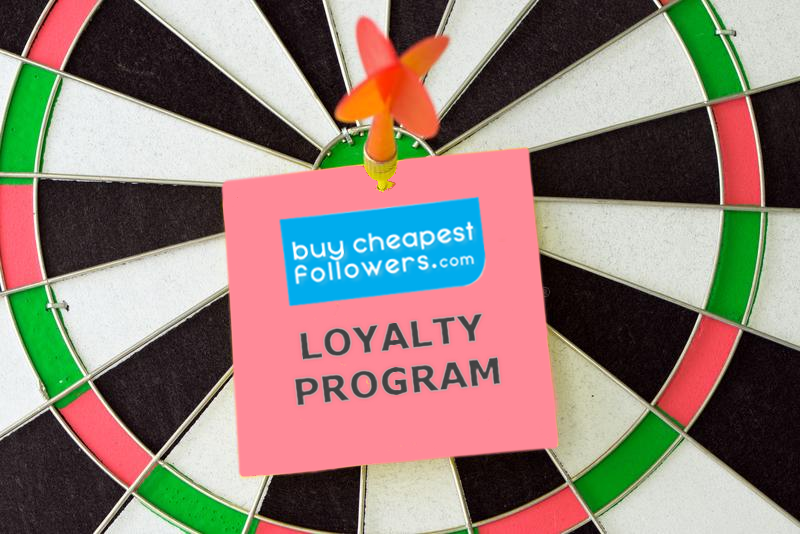 No, on the contrary, the loyalty bonus applies to all profiles on all social networks that we support in our online store. Thus, it is possible to order likes and views for different users and to double the number of members for free. How can I start my registration? Like orders in the Shop. View orders in the Shop. cancel any time before the expiration. Order as much as you want – No limits!